The OPEN BETA will start soon! You can help us test our game and influence the game's design by participating in Dusky Depths' open beta. Get notified when the beta starts! Play an early version of the game soon! 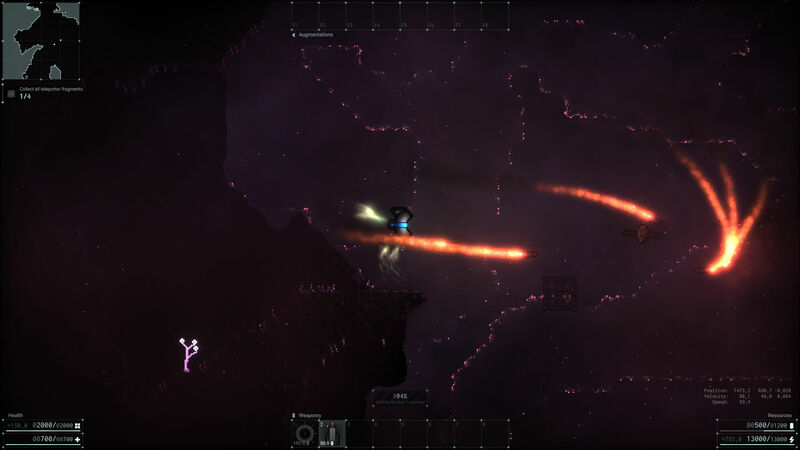 Dusky Depths is a physics-based side-scrolling action shooter. Annihilate other players in team-based game modes such as capture the flag or play the deadly perma-death adventure mode alone or cooperatively with up to 8 friends. 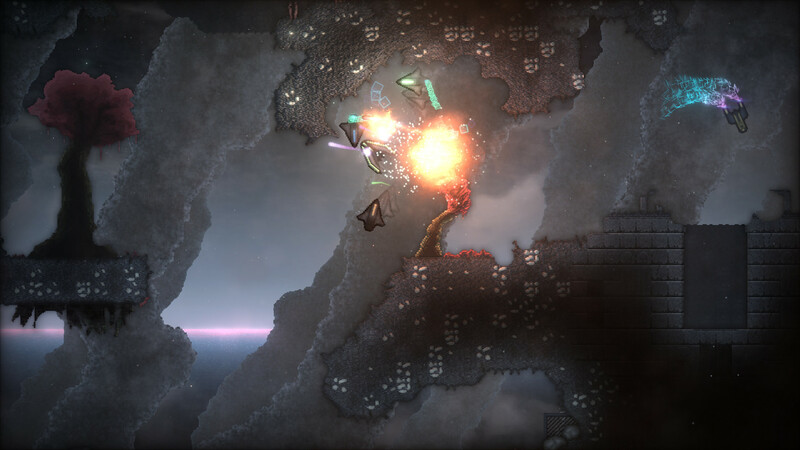 In the rogue-lite adventure mode, you are a mercenary stranded on an unknown planet inhabited by odd creatures and rundown machinery. You were supposed to merely surveil the planet, but an attack by the planet's autonomous drones has caused your on-board subspace teleporter constructor to malfunction. It teleported parts of its core indiscriminately across the whole planet. The remainder of the teleporter core is only capable of creating medium-range teleportation portals â€” but that's not enough to escape the planet's atmosphere. 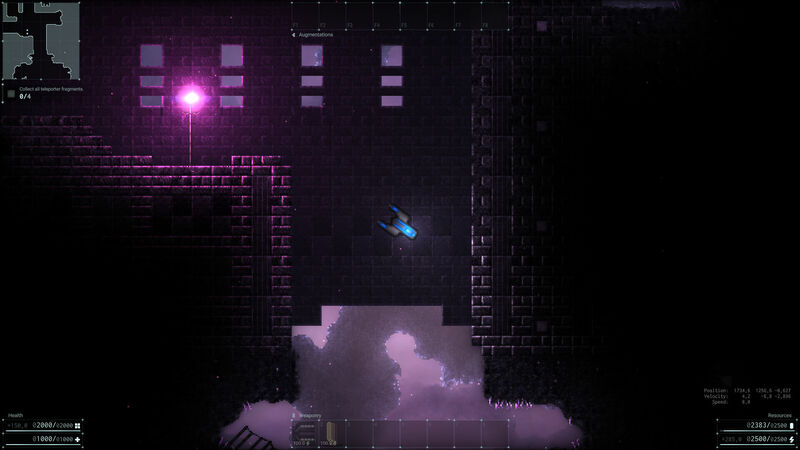 In order to escape from this world, you have no choice but to find all of the missing core fragments. 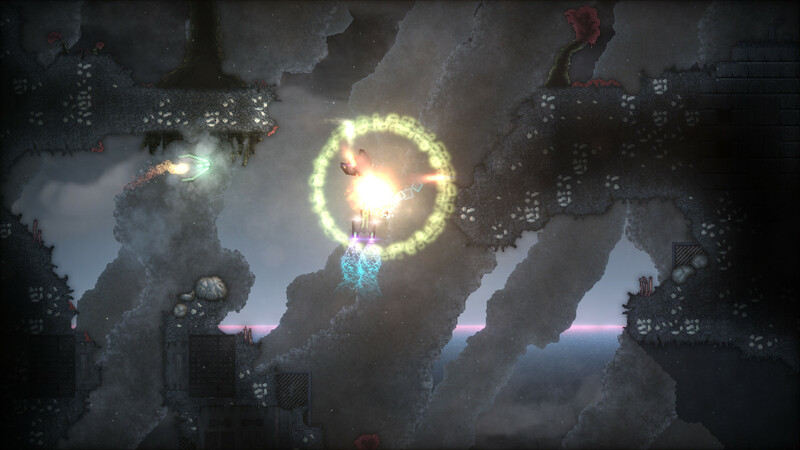 The game includes a custom-tailored physics engine which allows you to set up all kinds of contraptions to your advantage. Additionally, each world may have different enviromental properties (e.g. gravity, atmosphere), which will also affect the way the physics work! Destructible Terrain Video. But your browser does not support it. Modify the terrain to open up completely new paths! 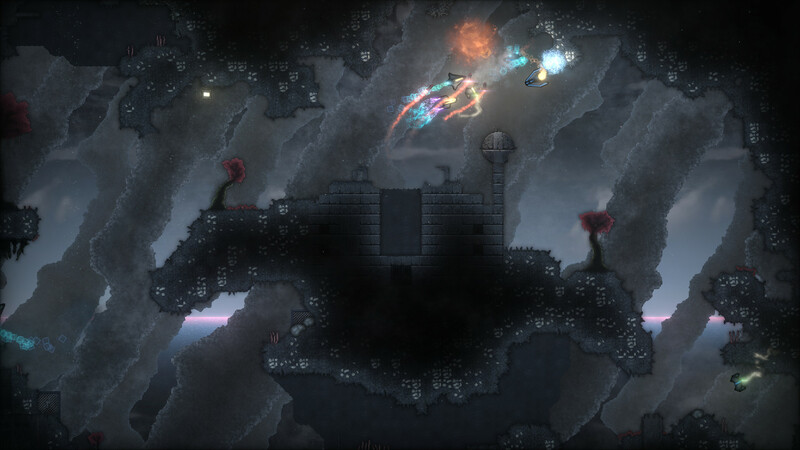 Create shortcuts to the enemy's base or find pathways to secret areas that reward you with rare items! Compete in versus game modes such as Capture The Flag, Last Man Standing or Deathmatch! Or play the rogue-lite Adventure mode solo or cooperatively with up to 8 players. You can also just experiment with the physics engine in the Sandbox mode. Tired of playing the same maps again and again? Randomly generated maps will make every gaming session unique. 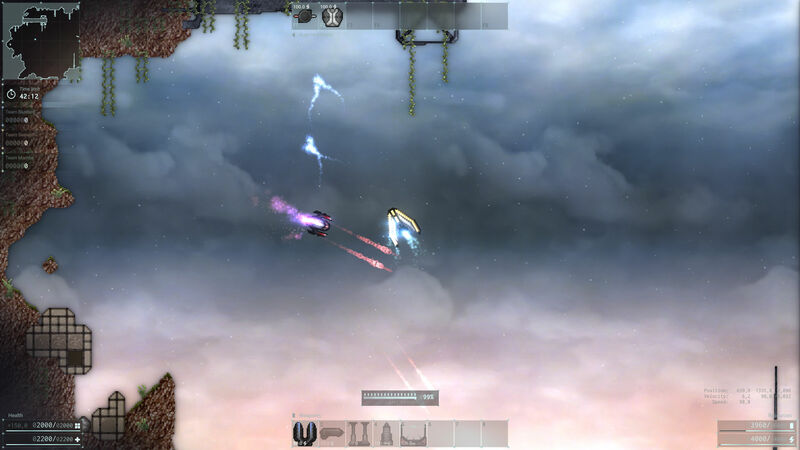 A vast amount of weapons and ship augmentations will allow you to play in many uncountable play styles. From adding a custom ship to creating total conversion mods - the only limit is your imagination. ... or come chat with us on our Discord server!